Amitabh Bachchan shared a photo of son Abhishek, daughter Shweta Nanda, grandchildren Navya Naveli and Agastya. 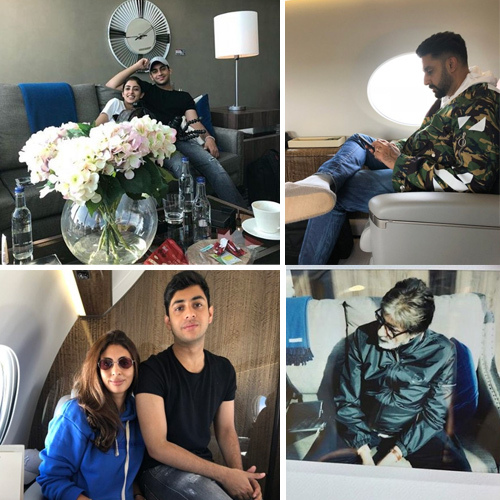 At first glance, it would seem to be a regular photo of the Bachchan family chilling. But a closer look at the caption of the photo suggests otherwise. "... the family that Mobiles together, stays together..," the Thugs of Hindostan actor wrote along with the photo. As the 75-year-old actor posted the photo, there were some who pointed at Navya not using a mobile but reading a book. To this, Amitabh clarified saying, "Lot of you saying Navya reading a book..but book ke andar is a mobile.."